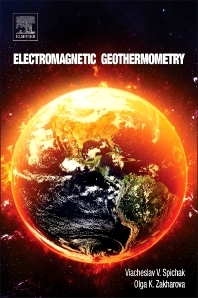 Electromagnetic Geothermometry explores, presents and explains the new technique of temperature estimation within the Earth’s interior; the Electromagnetic technique will identify zones of geothermal anomalies and thus provides locations for deep drilling. This book includes many case studies from geothermal areas such as Travale (Italy), Soultz-sous-Forêts (France) and Hengill (Iceland), allowing the author and reader to draw conclusions regarding the dominating heat transfer mechanisms, location of its sources and to constrain the locations for drilling of the new boreholes. Covering a topic that so far has very little coverage (due to its newness) Electromagnetic Geothermometry presents ground breaking information on the interpretation of MT signals. And as such, is similar to the work that was done to develop new generations of seismic inversion methods that have since come to dominate the oil industry.